The media has been awash with reports of crises in all the active political parties. Going by press reports, all political parties from NRM, FDC, DP, UPC to CP are in a crisis of one sort or another when it comes to their top leadership. The challenges can be traced to the premise on which the government restored the operations of political parties in 2005. During the referendum on the restoration of the operations of political parties in the country, the Electoral Commission is said to have set its question in a manner that reflected the nature of the plebiscite. But the government 'insisted' on a question that asked (indirectly) whether people wanted to remain in the Movement (the former one party or no party system), or should allow the people who want to leave it (the Movement). An otherwise well-meaning referendum was reduced to the Tubejeko thing, merely for the objective of popularising the perception that the later-to-be-formed NRM as the continuation of the Movement. The operations of political parties that were formed or continued have been reduced to one simple maxim: you toe the line or the exit. In essence, party members are like conscripts with very limited expression of conscience and self-consciousness. Party members are always threatened with disciplinary action whenever they express divergent views from those held by the top leadership of the party. This state of affair has led to the parties being inundated by recent arrivals who are recruited on the qualification of loyalty to the leadership as opposed to conscientious conviction of the original members (read political party ideals). What the media calls crises in the political parties is therefore a struggle between old and new membership levels. Take FDC and what is now called the Beti Kamya Affair. How can one explain the paradox of Beti Kamya fighting Dr. Kizza Besigye? The biggest qualification for Beti Kamya's position in the FDC is not that she is the most articulate personality, and I do not discount the many articulate people in FDC in the party, but that when she and others were in the trenches with Besigye in 2001, most of the current FDC luminaries kept a distance. And the quarrel Kamya has with Besigye is not that Besigye undermines her work as she wants some Baganda to believe, rather Kamya is only venting her frustration on a leader who seems not to care about the people who suffered during the good old war of the 2001 Presidential Elections. These people constituted the Elect Besigye Task Force (EBTF) which shook the foundation of President Museveni's Presidency. Ms Beti Kamya participated in this team with excellence. It is this team, in order to remain relevant to the national political narrative, that formed themselves into a loose political pressure group called Reform Agenda. It should be noted Kamya was not the first former Reform Agenda activist to express frustration over what can be seen as obscurity of the former Reform Agenda activists. At one time Regan Okumu, the Aswa County MP threatened to challenge for the FDC presidency. 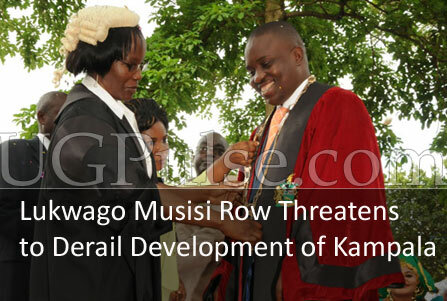 Godfrey Ekanya, the Member of Parliament for Tororo County, threatened to join the National Resistance Movement. Not to forget mention of MP Alex Onzima (another Reform Agenda member), who is in FDC only by name. There is a pattern. Why has FDC strategists or Kizza Besigye himself not looked at that pattern? In real terms, the frustration of the former Reform Agenda activists is a legitimate political expression that derives from shared experience. Their only problem is failure to crystallise their feelings into an ideological position to influence things in the party. This same power politics between the new comers threatening the positions of the kasangwawo is playing out in the National Resistance Movement and the Democratic Party. In the run-up to the 1980 General Elections, Dr. Paul Kawanga Ssemogerere is alleged to have frustrated Prof. Yusufu Lule's nomination as DP's presidential candidate. In spite Lule's national exposure as former president, he remained an outsider in the DP. With Lule's strong attachment to Buganda nationalism, Dr. Ssemogerere is said to have capitalised on the then poor DP-Mengo relationship to influence the dismissal of Lule's candidature. And with what looked like a sure-deal win for DP, Ssemogerere had more incentives. However, DP is the only party now at the threshold of generational change of leadership. The vultures (the media) should brace themselves for the mother of all battles as President General Ssebana Kizito relinquishes the mantle of DP leadership. The objective of the infighting in DP now is to influence the expected leadership change in November. However, Ssebaana Kizito's indecisiveness is abating the infighting pitting the old guard against the younger generation. In the NRM, the problem seems to stem from the frustration of distorted or unclear career paths. The top of the party is bottled up rendering the party members to play the nsenene-in-a-bottle jostling for the attention of the party leadership which is embodied in the person of President Museveni. Because the farthest on the political ladder an NRM member can go is being appointed minister and consequently influence public expenditure, the infighting in the NRM is merely a struggle among national leaders fighting for supremacy in their localities (districts). This is why President Museveni has been preaching cohesion in the party in almost all regions. But with a resurgent opposition, the main thrust of the infighting in the NRM is likely to shift to the top leadership. It is however worth noting that what is popularly called the historical component of the party leadership in the NRM has almost been purged. Its relevance now depends on the patronage of the party leadership. Plus the young leaders lack the confidence to pitch for national top slots. In all these parties, there is no systematic challenge to the top leadership and the strategic outlook of the parties. On the outside, some people may view this harmony as the result of strong personalities of the party leaders. And as we have argued elsewhere, any member who has deviated from the party's strategic path has lost out. Examples abound. Since 1980, there has not been a successful formal splinter in any political party in Uganda. The attempt by Tiberio Okeny to form the Liberal Party as a splinter from DP just died away without any impact on national politics. The same fate befell Cecilia Ogwal's attempt to form a splinter group from Uganda Peoples Congress. But what does this mean? Could it be that the strategic objectives of the parties feed into popular feelings? Or that party leadership is held by strong-armed personalities who don't brook dissention? Or that party members are so conscious enough to view as ambitious and immodest any one seen as deviating from this path? In normal circumstances, it is the ruling party's activism that informs government's political actions. 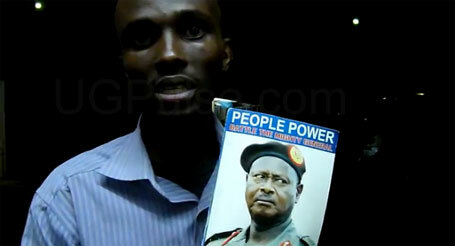 However, in Uganda it is the government that influences the ruling party's actions. This has engendered the feeling that what matters is to have power and the authority to take administrative actions; not the ideological outlook of government's political group.